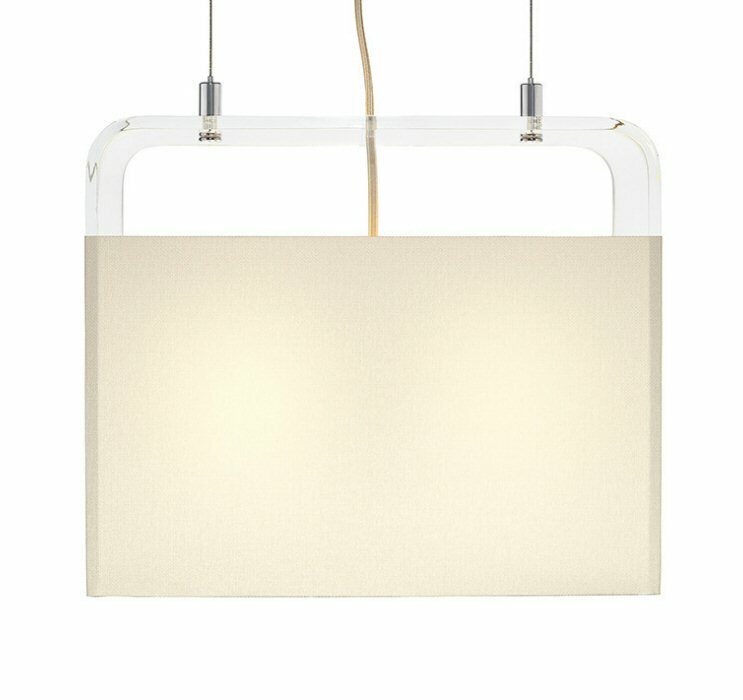 Pablo Design Tube Top 18" is newly reborn as a suspension lamp, fusing its brilliant transparent acrylic surfaces with a soft and diffused fabric shade held in tension. Tube Top Pendant is a minimalist statement in form and proportion providing remarkable and fully dimmable illumination for home and contract applications. Lamps can be hung individually or in multiples.